From the DVD's "Main Menu" go to the "Special Features" section and there highlight the menu entry that says "Main Menu". Now press your Right button and the highlight on the screen will disappear altogether. 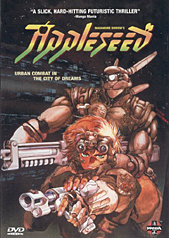 Press your Enter button now and you will get to see a hidden trailer for Appleseed.